When Hollywood decides to remake one (or two in this case) of your favorite films, you can be forgiven for heading in with a little trepidation. However on this occasion I was very pleasantly surprised. I probably shouldn't have been. After all, the original western from 1960 was of course a remake itself of the seminal Seven Samurai. 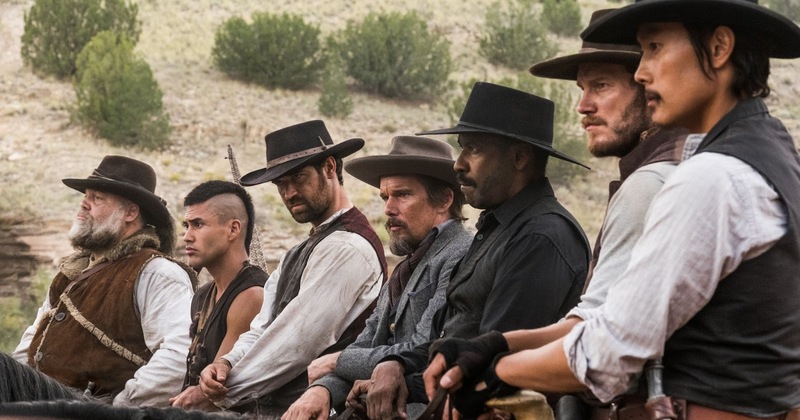 The remake of the Magnificent Seven, brilliantly headlined by Denzel Washington and Chris Pratt, was a perfect example of how to update a classic. Director Antoine Fuqua, who also directed Washington in Training Day and The Equalizer, goes from urban violence to the sweeping vistas of the old west with aplomb. The pacing isn't as bombastic as the trailer suggests. The film is actually very reverential to the traditions of the genre. It's a modern retelling, but still feels like a western. The cast certainly helps. The seven are all well cast, and there is a genuinely entertaining chemistry between them. Some may wander occasionally into cliche, but the dialog keeps things firmly in genre territory. Peter Sarsgaard is well cast as the villain of the piece. The action sequences are well directed, and avoid degenerating into over the top violence that might have tempted a lesser director, but that shouldn't surprise anyone who has seen Fuqua's previous films. The violence here is grounded, the stakes real, even if it all has a feel of superhero action in places. in fact it's possibly a better superhero move than many actual superhero movies. A thoroughly entertaining western that doesn't insult it's heritage. For me, that's a mighty high compliment.